I haven't had a lot of time to cook lately, and the photo above is one reason why. 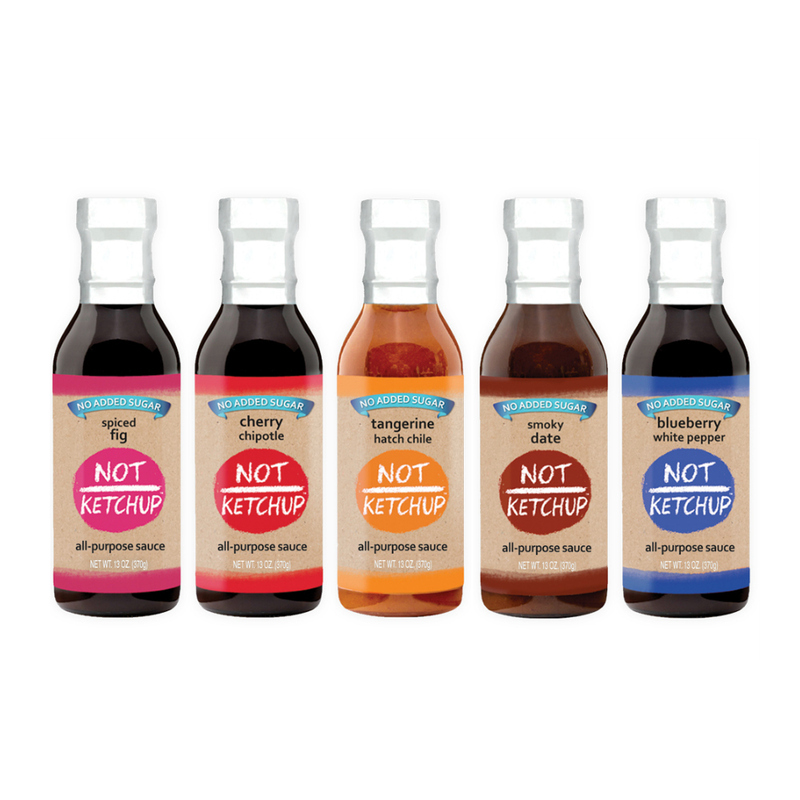 This summer has been all about Not Ketchup, my new food business. While my kids were away at camp, I made cold calls, met with new retailers, spoke at a conference, did store demos, and generally ran around trying to get Not Ketchup into the hands and mouths of food lovers around the country. 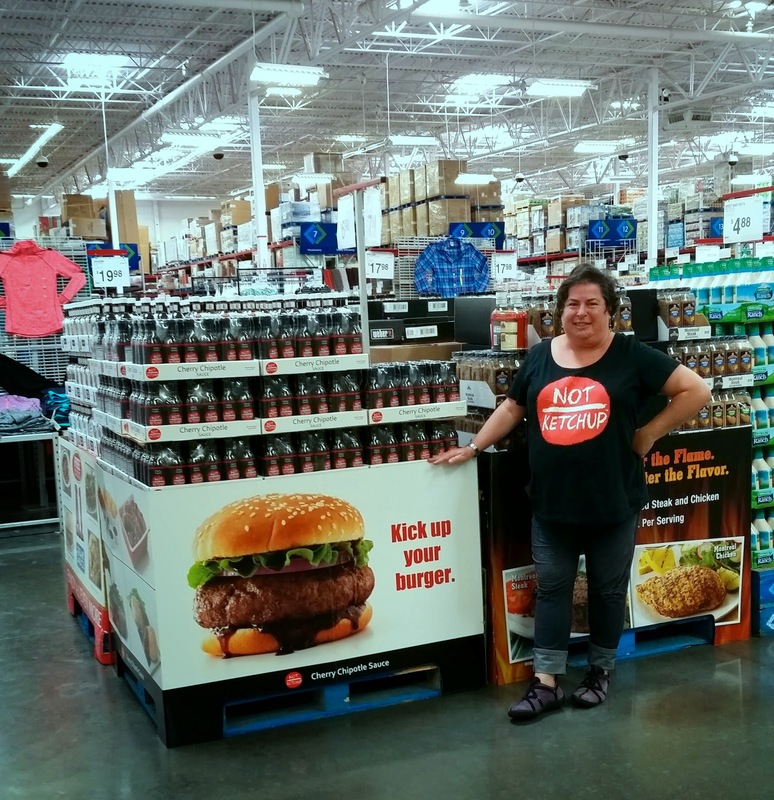 Last week marked a big day for Not Ketchup: After half a year of negotiating and paperwork, Sam's Club in Fountain Valley, about 45 minutes south of my home, started selling a two-pack of Cherry Chipotle Not Ketchup. I went down there to offer samples to Sam's Club members a few days ago and the response was great, from both customers and the people who work there. I was nervous but the day went really well. And I can't tell you how proud I was to see my product featured in the food section next to brands that have been around for decades. Ironically, the more involved I get in building my food business, the less time I spend in the kitchen. One of my favorite shortcuts is to pick up a store-bought rotisserie chicken and glam it up with Not Ketchup. Two minutes of work, 10 minutes in the oven, and you end up with a delicious, juicy bird glazed with a tangy, fruity sauce. Serve a little more Not Ketchup on the side for dipping, throw together a salad or steam some vegetables, and dinner is done. I promise to get back to a more normal blogging schedule with real recipes soon...someday...well, if I'm being honest, probably not that soon. Que sera, sera. Apologies and thanks for bearing with me. Dress up a store-bought rotisserie chicken by brushing it with any flavor of Not Ketchup fruit "ketchup" sauce. Two minutes of work, 10 minutes in the oven, and dinner is ready. Preheat the oven to 450 degrees.Put the rotisserie chicken in a baking dish. 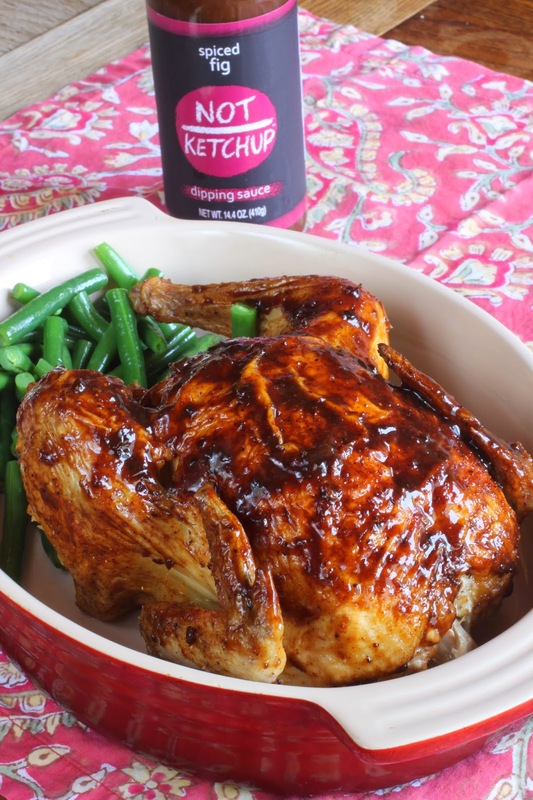 Pour the Not Ketchup over the chicken and spread into all the crevices with your hands or the back of a spoon.Warm the chicken in the oven 10-15 minutes, until the Not Ketchup glaze is bubbling and looks glossy and sticky. Take the chicken out of the oven and let rest 5 minutes. Serve immediately with more Not Ketchup on the side for dipping.